Maybe it’s some atavistic need to fight off mid-winter scurvy or just a bright yellow middle finger to the bleak and frozen landscape, but I crave the taste of lemons these days. Nothing brightens up a winter meal more than a jolt of citrus and, believe it or not, the most intense lemon flavour comes out of a jar. People around the Mediterranean have been using this simple method to preserve lemons for millennia and, once you’ve tasted them, it’s easy to see why. A month marinating in nothing but salt and their own juice gives lemons a supercharged lemony punch. Use them with roast vegetables or make a roast chicken that will become your new standard or, with any number of North African dishes. Here are some more uses of preserved lemons. Sterilize a 2-cup (500 ml, 1 US pint) canning jar and set aside. Holding the lemons upright, cut each lengthwise as if you were going to cut it in quarters, but don’t cut all the way through; leave a half-inch or so of the bottom so that the quarters remain attached. Open the lemon a little and coat the inside of each with coarse salt. Place about 2 tablespoons of salt in the bottom of the jar and add a layer of lemon, pressing down hard with a wooden spoon so the lemons are packed tight and the juice is released. Add a layer of salt and repeat until the jar is full. If the juice does not completely cover the lemons, add more freshly squeezed juice. Store the jar at room temperature and shake a couple of times daily for 30 days. 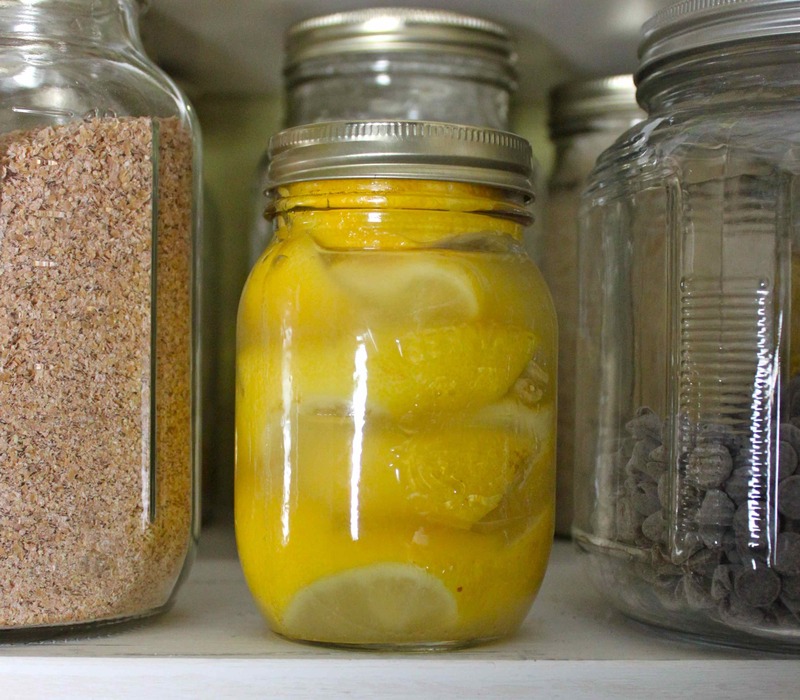 Some people store preserved lemons in the fridge, others say there is no need (I don’t). Preserved lemons will last up to a year. This entry was posted in Preserves and tagged lemon recipes, preserved lemons, salt. Bookmark the permalink. Great! Let me know how you like them.